For the past couple of months, I’ve been trying to eat more fruits and vegetables. Some days are better than others, but I’ve found that having smoothies and salads really helps! I try to buy organic fruit and veggies whenever I can, but our small local grocery store has a VERY small selection. So, I try to stock up when I make it to the larger grocery stores. 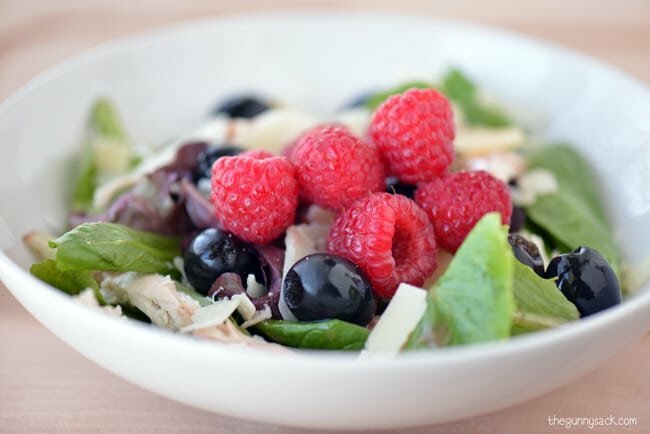 Today I want to share with you one of my favorite salad recipes: Raspberry Parmesan Chicken Salad. My love for this salad started with my aunt. A few times a year, she has my mom and all of my sisters over for lunch. 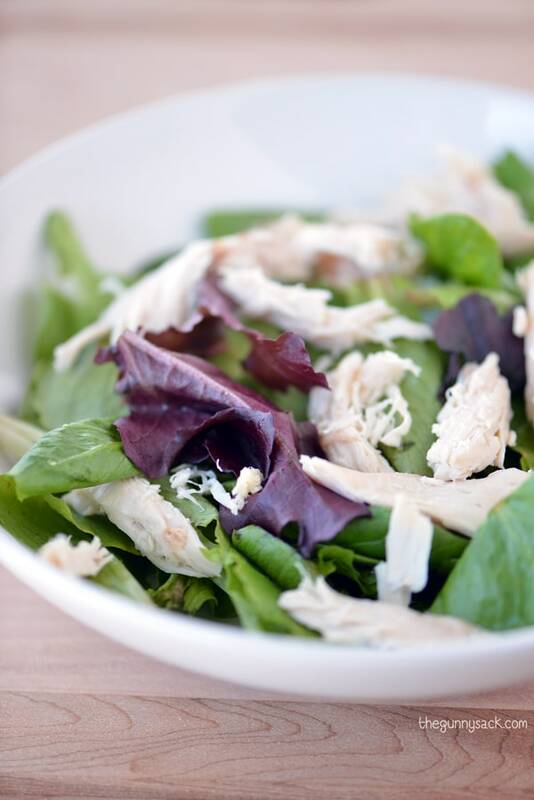 For one of our spring lunches, she made chicken in a raspberry sauce that she served on top of a salad. I can’t remember everything that was in the salad, but I think there were sliced strawberries, cheese and croutons. Anyway, I love having fresh fruit on my salad, so I decided to make my own version at home. 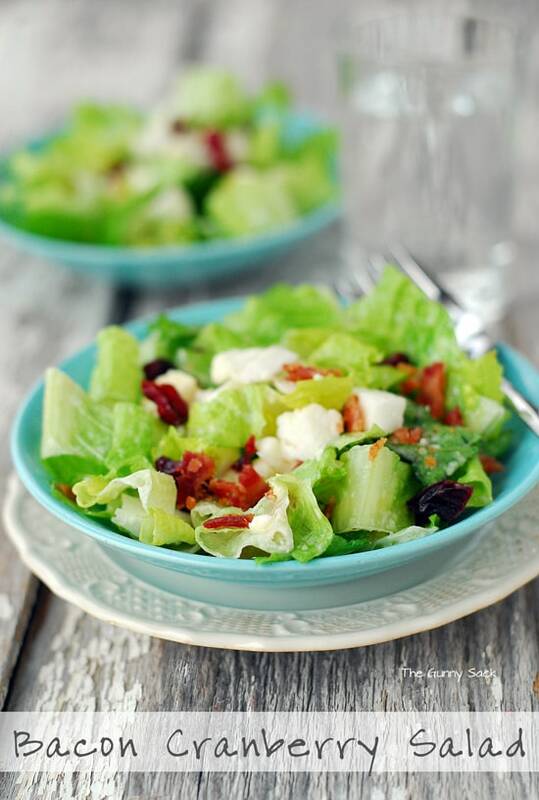 This salad starts with a bowl of your favorite lettuce. I used baby spring mix. Add some cooked chicken. 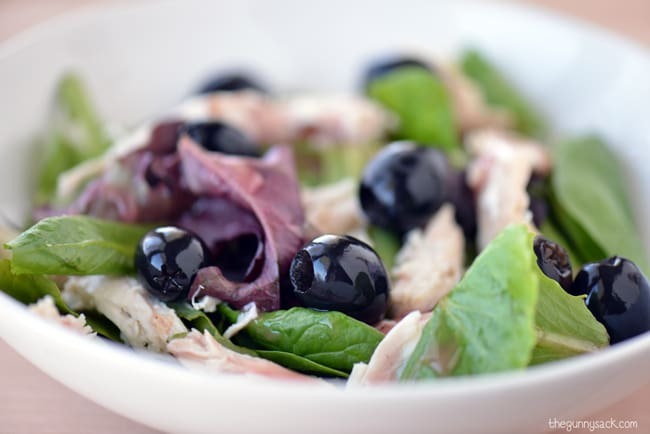 I used a rotisserie chicken because it is so easy! 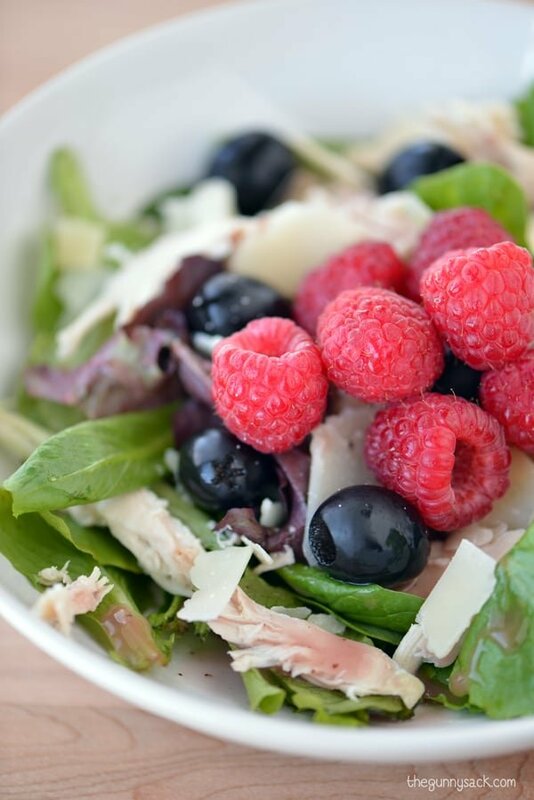 Drizzle with light raspberry vinaigrette. I used Annie’s but you can make your own if you prefer. 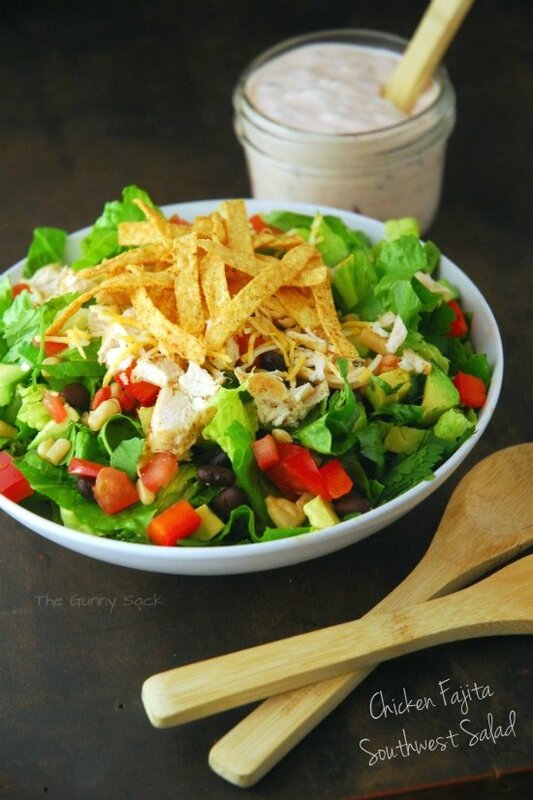 Or go ahead and use any of your favorite salad dressings. I think a poppy seed dressing would be delicious on this salad. Next, add a few black olives. Top it all with plump, juicy raspberries. I’ve also made this salad with strawberries and I love it that way too. 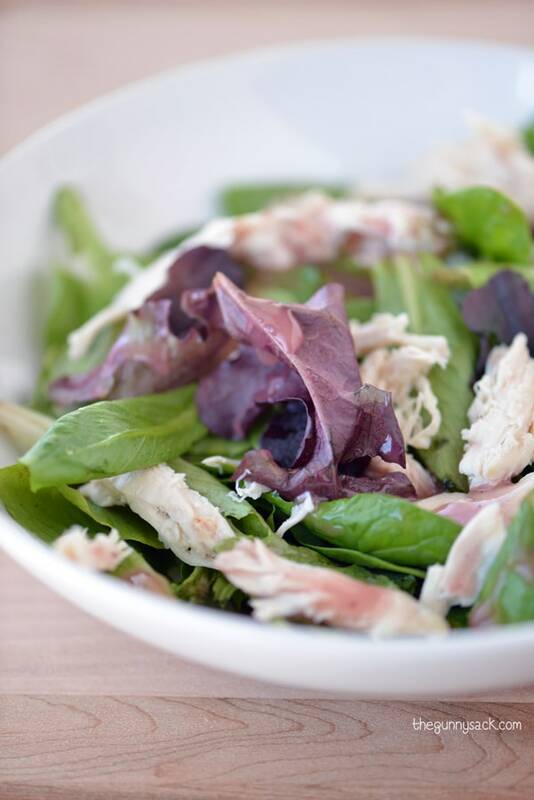 Walnuts and pecans are a great way to add protein and crunch to this Raspberry Parmesan Chicken Salad! Put a large handful or two of lettuce in a bowl. Top with however much shredded chicken you want. 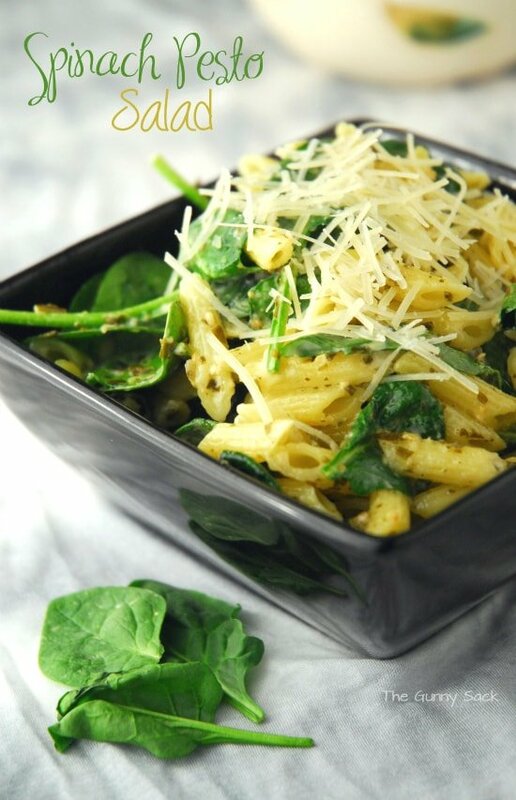 Add black olives, Parmesan and raspberries (add as much of these as you want). Thanks Andi! I love how photogenic fresh fruits and veggies are! This looks like my ideal salad! 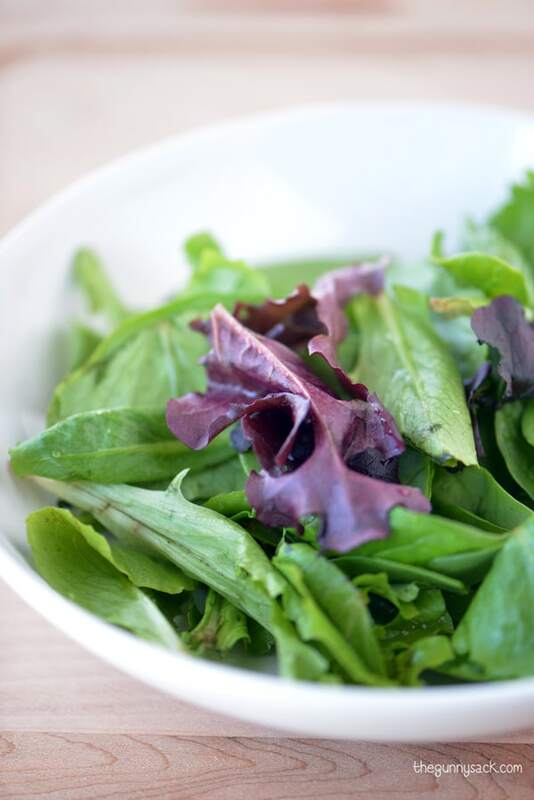 Both my daughter and I love salads and vinaigrette! Delish! Thanks Sheena! 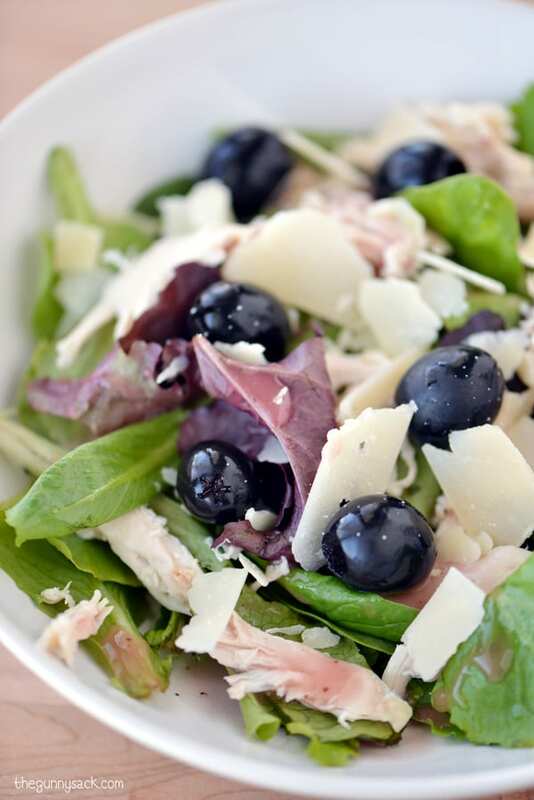 I love sharing this salad with my family and friends. This looks fresh and delicious. I love the tanginess of raspberries! Haha! That is awesome! I love how many different ways you can eat salad. Thanks Kacey! I wish this was my lunch today! 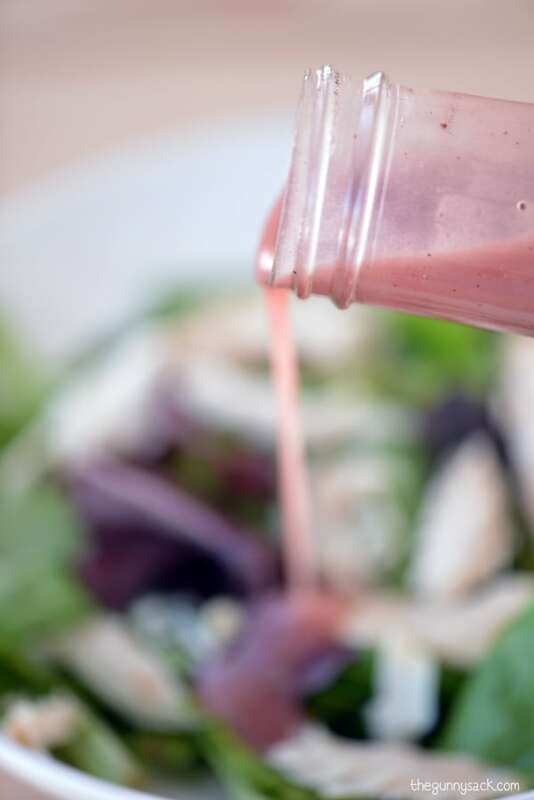 And I do love raspberry vinaigrette! 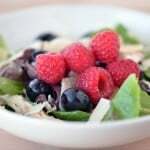 I love salads like this with fresh fruit on them! They add such a bright flavor to the salad!